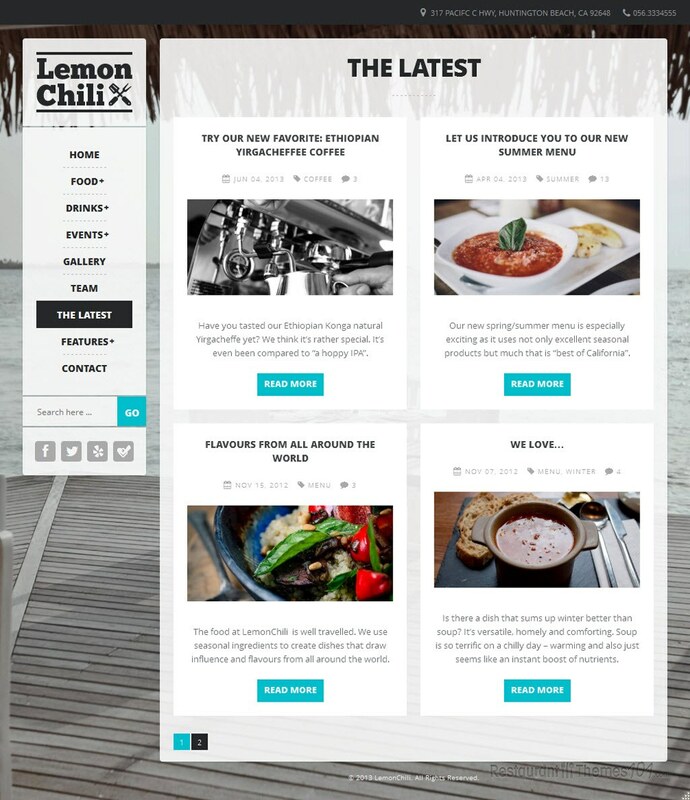 LemonChili is a responsive WordPress restaurant theme created by Red Sun. The theme is featured at ThemeForest and it stands for a complete package needed for creating a great website. The homepage of this theme looks very lively and interesting. With a great, relaxing background photo and a nice set of colors, it will attract the attention of many visitors. A wide slider is featured and it represents a great place for putting your own quality photos, no matter if it’s photos of your delicious food or the nice atmosphere at your restaurant. 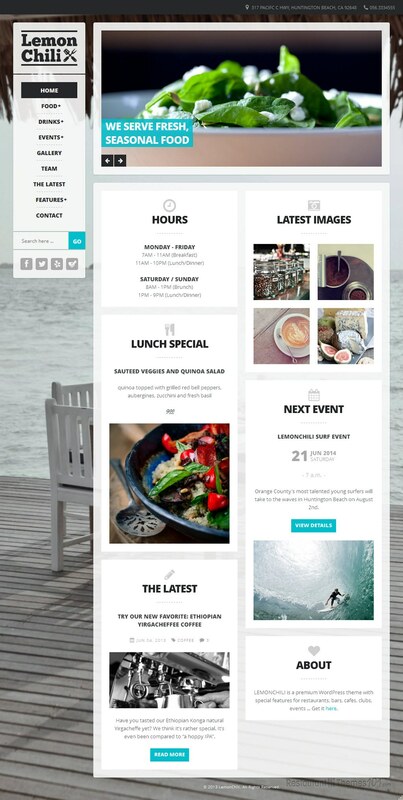 The whole theme was created with visitors in mind and it’s very easy to navigate. You will be able to display working hours as well as your most important posts. Featuring your daily specials is very easy and it will look great on your homepage because you will be able to add resized photos and some teaser text which will be linked to a full content page. 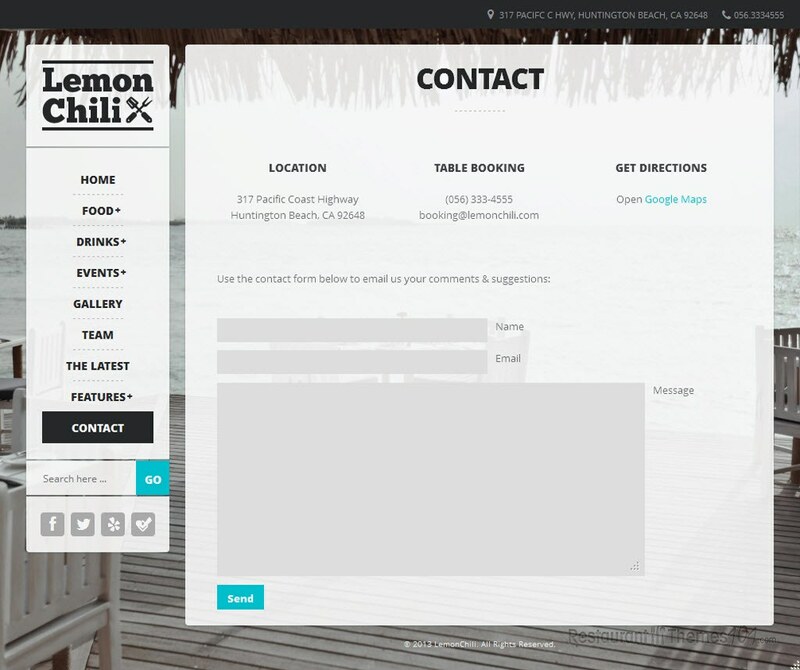 A simple click will take your visitors to the right place. LemonChili offers several important features. “Events” is one of them, giving you an option of announcing any happening you might be having at your place. 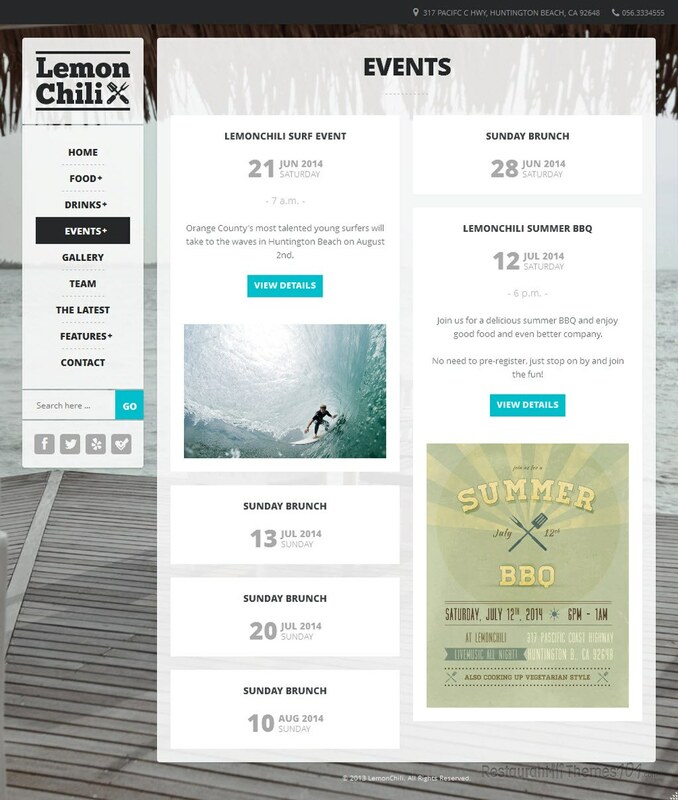 Feature your upcoming events on your homepage and choose one of the 2 styles offered to you: lit or boxes. 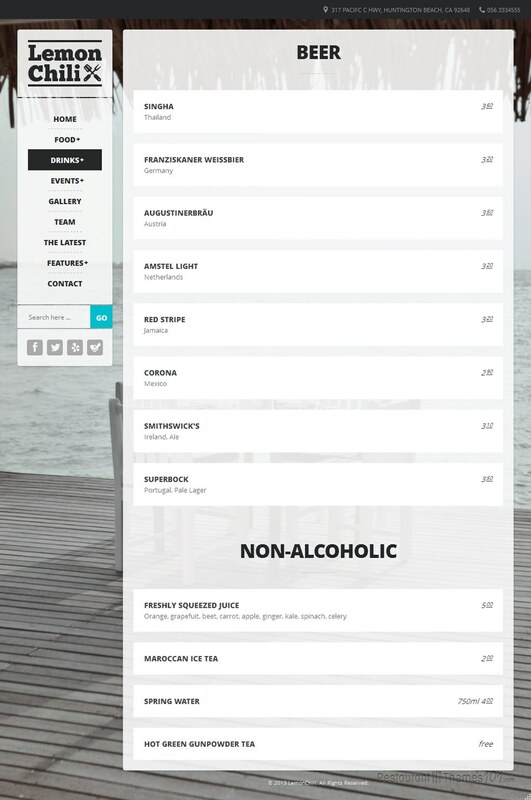 This theme offers an unlimited food & drinks menu, which is very easy to create and looks perfectly well organized. Google Maps is also featured for everyone to be able to find your restaurant or café with ease, and a simple contact form as well, for easier interaction with your visitors. 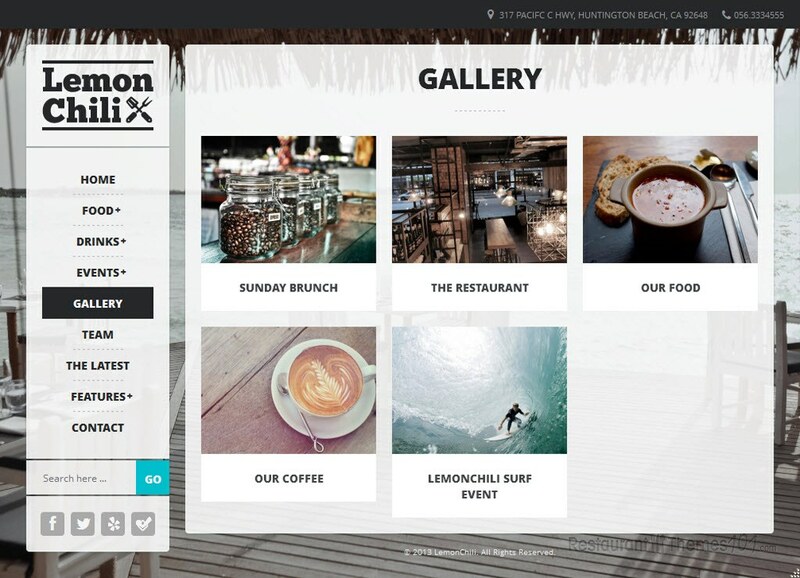 If you need a theme with many special features needed for a restaurant website, you might be on the right track. 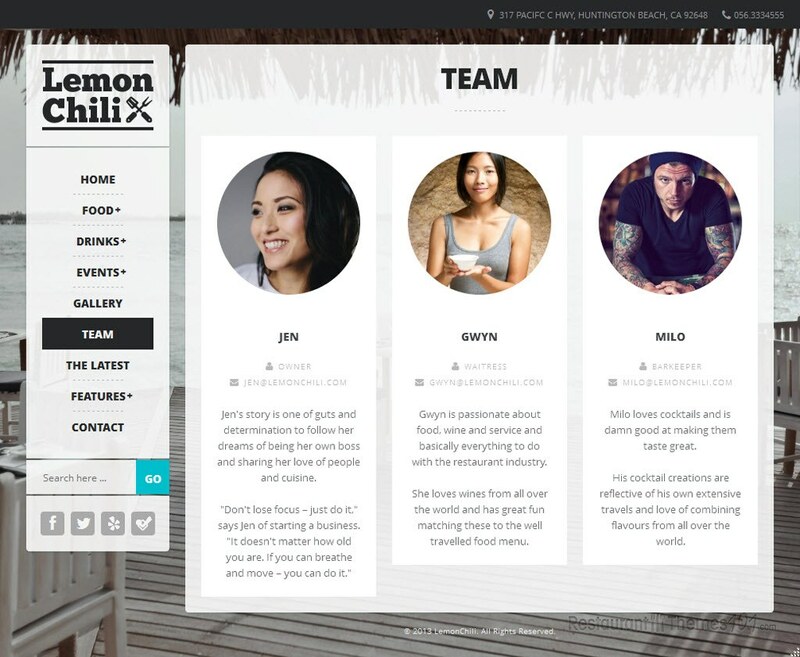 LemonChilli looks great, and it will make it very easy for you to create your own unique website even if you aren’t a skilled web designer. 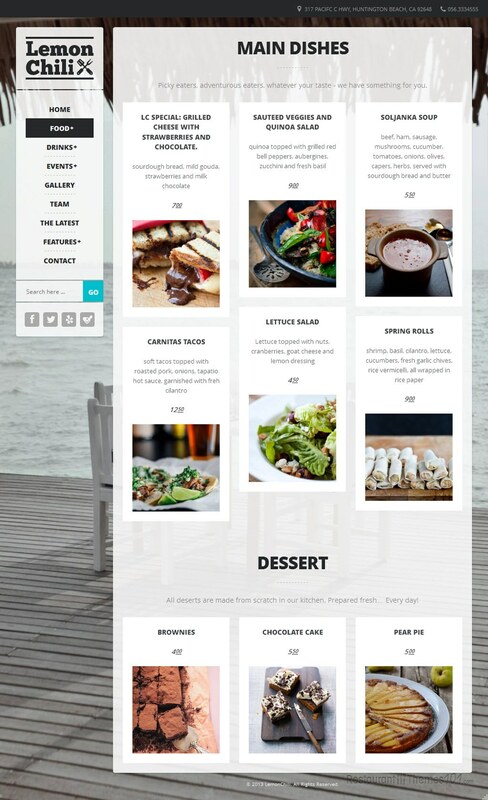 It can be used a responsive WordPress bar theme, or as a theme for any other restaurant niche. Being responsive promises your website is going to look great regardless of the screen size or resolution it is seen from.